Google provides free Google accounts with an @gmail.com email address to anyone. Google also offers free Google Apps for Education accounts to schools. So why should schools use Google Apps for Education accounts instead of regular Gmail accounts? 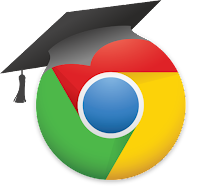 There are many benefits for schools for using Google Apps for Education. Below is a link to a presentation I put together that highlights many of the differences between a personal Gmail account and a school Google Apps for Education account.